Here we are again, at the end of another year. Only this time it’s 2008. And since it’s a different year, I guess I get the luxury of running the same article I did last December without the guilt of using the same idea twice in a year. So like I did back then, I’m going to make a short list of games that I would personally love to see on the Wii’s Virtual Console service. It’ll be a little bit harder this year, because I used my most wanted in 2007, but coming up with seven more wasn’t too hard. And I even have a gimmick this time! For 2008’s VC Wishlist, I’ve decided that I’m only going to pick games that appeared on the Super Nintendo (or Super Famicom, in some cases). Why? I dunno. I was just picking games and once I had it down to a relatively short list I realized that the ones I wanted the most were on the SNES. Sure, there are some NES games that I would love to play again, but none more than G.I. Joe or Nightshade. The only thing I’ve craved on the N64 lately has inexplicably been Pokémon Stadium, but that’s not super important. And like last year, I really couldn’t give a crap what happens with the Sega and Hudson machines. Or even the Neo Geo. I can’t even think of all the systems they’ve got on there now. All I had as a kid were the Nintendo machines, so we’re gonna stick to those. Chances are you’ve never played Soul Blazer before. It’s only slightly less likely that you’ve never even heard of the game before now. Or maybe it was huge and I just missed it because I was afraid of RPGs back in my SNESing days. Imagine my surprise when I opened the ROM file a couple years ago and learned that it wasn’t really that much of an RPG at all! No, Soul Blazer has more in common with the Zelda series that it would with any Final Fantasy. It’s one of those top-down action RPGs that I love so much. Wish I had known that back in the day! Yes, that would have been good, because I really don’t think Soul Blazer has held up all that well over time. The graphics aren’t horrible, but do reek of bland. It looks almost like a dressed-up Final Fantasy Mystic Quest. Or at least that’s what I can best liken it to. Not to mention that the gameplay could use a little sprucing up. I’ll give in to the fact that it’s an earlier SNES game, but it could still work a little better. The point is, at the tie I would have thought the games was great. At present, it’s a little outdated. Or a lot. So If I’m being so hard on the game, why do I want it on the Virtual Console soooo bad? for one, because if you look past its age, it’s not a terrible game. A little clunky and rough around the edges, but entirely playable. I do like it, but there’s not use pretending it’s better than it. The main reason I want to see it is because I’ve never played all the way through. I’ve only spent about two hours at most with the game, just more than enough to form an opinion of a SNES title. And I want to play it because I’ve been itching to go through Illusion of Gaia again, but my misguided sense of fairness is forcing me to play this one again. And if it lived on my Wii, that would make it that much more appealing to actually load up and play. I can’t truly rate Soul Blazer at this point, because I’ve only barely gotten into it, but then again, I’ve only finished two of the games on this list, so it’s really more of a “I want to truly experience these for the first time list”. Mostly, anyway. If I did have to place a final judgement on it right now though, I could tell you that I’ve easily downloaded games of lower quality than this. The TG-16’s Neutopia, for example. And that’s essentially the first Legend of Zelda game with a facelift. So yeah, I would buy this one as soon as it showed up in the Wii Shop. Might not play it right away, but it would give me peace of mind to at least know that it’s there waiting for me. Illusion of Gaia is the sequel to Soul Blazer, and the second game in the trilogy. It’s also the only one I’ve finished. 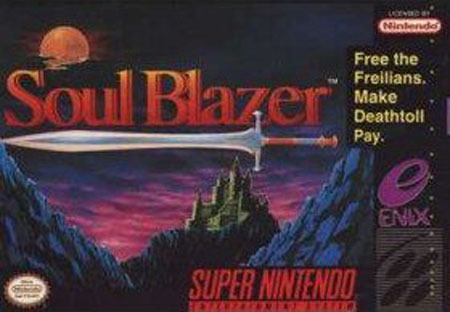 Of all three games, I think this one would be the most likely Virtual Console candidate, if only because Soul Blazer (as far as I know) was never hugely publicized and the sequel never made it to North America. Illusion of Gaia is a huge step up from its predecessor. It’s still a top-down Zelda wannabe, but it’s much more polished and the story is actually really interesting. Or, at least, it was many years ago when I played it through. I think it would probably still hold up pretty well these days. The plot of the game follows a young boy named Will on a quest to save the world from a doomsday comet. It’s pretty standard stuff, but the part that I love about it, and indeed what drew me to the game in the first place, is that most of the game locations take place in real-world locations like the Nazca lines and the Great Wall of China. It’s officially a fantasy world, but there are so many analogues to real human history and mysteries, and I think that adds an incredibly interesting facet to the game. I know it sounds horrible, but I kind of wish the game gave even more real information about these things. It would be the first truly entertaining edutainment title. Plot and locations aside, I still think Illusion of Gaia is a solid title. It’s still sort of a lo-fi Zelda, but it has its own charm that I find very few other games possess. Maybe I’m just looking at it through rosy nostalgia glasses, but I’ve been itching to play through it again. The only reason I haven’t is that I have so many other games in progress that I couldn’t possibly start playing a game I’ve already seen through to completion. Also, I want to play and beat Soul Blazer first, if just for that minor sense of completion. Of all the games featured here, I think this is the one that I have the strongest craving to play. 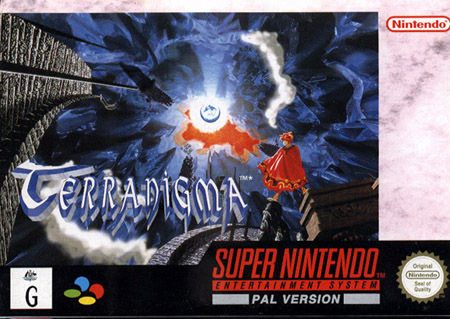 The last in the series, Terranigma is also the finest. Well, probably. I’ve only been through roughly a tenth of the game, but that was much more recently than the other two, and I remember thinking that it was really quite awesome. My friends even agreed with me when I showed it to them. Though to be fair, it was still early in our career of playing ROMs, and it was mind-blowing to play pretty much any SNES game on our computers for free. Terranigma, as far as I remember, is more of a “preserve the world and nature” themed game than simply saving the world. Or at least, that’s the impression I got from the first couple hours of it. A quick check on Wikipedia confirms that it’s a wee bit more complex than that. The game takes place in a world where the Earth is hollow and the overworld is dominated by good, and the underworld interior by evil. There’s more to it than it seems though, because the hero of the game… is from the underworld! 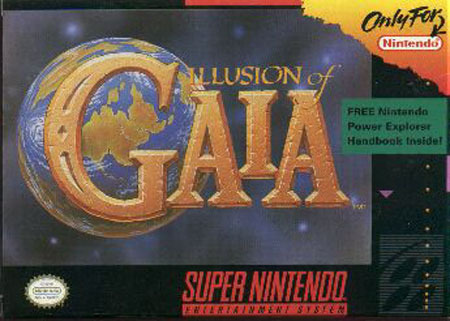 I honestly can’t remember a lot about this game other than the fact that it plays pretty closely to Illusion of Gaia and that it was a ton of fun. Not sure why I never finished this one, because whenever I think about it, I can only remember it being pure bliss. I’m sure it wasn’t that good, but I’m willing to stake my reputation (not that that’s a huge gamble) on the fact that it is a top tier SNES game. In fact, while it was only released in Japan and Europe, the main (only?) reason we never saw it is because Enix’s North American branch closed down before they could get it out. the only thing I’m not into about this game is that because of my misguided sense of obligation, I have to finish the other two games before I’ll let myself start this one! Aargh! Well, if by some impossible stroke of luck we see this on the Virtual Console first, I suppose I’ll have a loophole. While not a sequel to any of the aforementioned games, Robotrek comes to us from the same development studio as the Soul Blazer trilogy, Quintet. Over the years, I have come to really respect their work, and the fact that most (if not all) of their SNES titles were published by Enix made them must-plays for me. See, I’m willing to give anything with the Enix name a shot because they had so much wonderful product in the 16-bit era, and Robotrek is no exception. 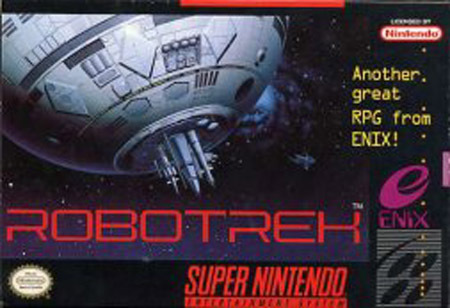 I have actually tried playing Robotrek twice, neither time making it very far into the game. This saddens me, because it’s exactly the type of game I want to play. For one, it’s an Enix RPG, and much more of a standard RPG than the last three games I just talked about. For two, it has a large collection/synthesis/customization aspect to it, and that I absolutely adore. The game is about robots, obviously, and I have no idea what the plot was about, but you play as a young boy who uses robots to battle. It’s essentially Pokémon a year before Pokémon existed. Not only can you build new robots, but you can customize them to your liking, adding new parts and weapons, and even make your own new parts by combining old ones. Like I said, it’s exactly the kind of game I want to play. It’s almost like if Custom Robo were a standard JRPG. So yeah, I think I’ve made it clear exactly why I want to be playing this on my Wii as soon as possible. I think the reason I put it down in the past is maybe because the completionist in me became too obsessed and I was too interested in beefing up my robots than actually playing through the story. That sounds about right. I do, after all, usually have Butterfree and Wartortle before even reaching Brock. Nintendo very rarely uses their infinite power to infuse the Virtual Console’s lineup with games that were never released in whatever particular region you may be in. Sin and Punishment would be the big one for us here in North America, but there are tons of lesser known games that never made it over here that I would love to see make it over in digital form. Umihara Kawase would be somewhere around the top of that list. 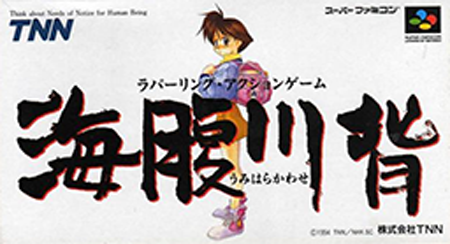 The thing that makes Umihara Kawase a good candidate is that Nintendo could put it up with very little extra effort going into it. The game is a platform puzzler, and one of the best. You play as a small girl tasked with reaching a door on the other side of the stage, and your only ability is to use a fishing line as a grappling hook. The trick is that the hook responds to all sorts of physics, and the game can get very complicated, but once you get good (good luck ever mastering it! ), it’s insanely entertaining. And that’s why it’s easy. The game needs no instructions. The only thing you have to learn is how your hook is going to respond to how you use it. Any story sequences I may have forgotten about are irrelevant, and the game is simple enough that you don’t need the tutorial. So if Nintendo could put it up so easily and it’s so great, why isn’t it available yet? Sadly, it’s likely because the franchise then moved to the Playstation and recently somebody decided it would be a good idea to make another sequel on the PSP. I hear it’s a pretty sad interpretation of the SNES game, and that’s why I’d love to see the original swing into our lives via Wii. Will it happen? I don’t think it’s too likely. In fact, I’d wager that the Playstation game ends up on PSN before the SNES edition hits Virtual Console. Yes, that’s how bad it’s gotten on Nintendo’s digital distribution system. Of all games never released on American shores, I would think that Mario’s Super Picross is one of those with the best chance to end up as a Virtual Console candidate. Why? 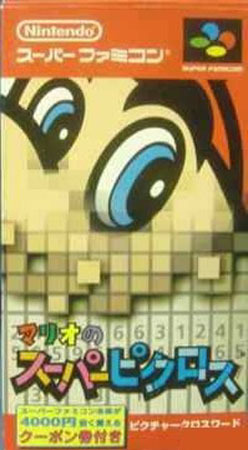 Because it’s already been released in Japan and the PAL territories, and also because Nintendo loves Picross. They’ve made a few puzzles from this game available as free DLC for Picross DS, so why not let us have the entire game for a few bucks? I think I’ve made my love of picross obvious over the lifespan of this website, but if you hadn’t heard, I heart picross. It’s a fairly simple puzzle game wherein you’re given a grid and a set of numbers for each row and column. You have to deduce from that set of numbers which spaces on the grid in that row or column need to be filled in. It sounds unbearably easy, and for someone who’s spent a few hours solving picross puzzles, it usually is. The main mode in Mario’s Super Picross gives you a time limit in which to solve each puzzle, and you’re deducted time for each mistake you make, so it’s very much a thinking game. Fortunately, like sudoku, event though it involves numbers and heavy thought, there is no math involved. If there were, I wouldn’t love it. It gets harder in the second set of puzzles, hosted by Wario, in which you have unlimited time, but the game won’t tell you if you make a mistake. It can take much longer to figure these ones out, but I’ve never taken much more than half an hour to get any of them done. It’s also much more satisfying to solve one of these puzzles, like when you beat a game of mahjong without any hints. I stand firmly in my belief that Mario’s Super Picross will eventually be available to me as a Virtual Console title, because the Japanese and Europeans already have it, so it has to show up here sooner or later. Only now since Chris Kohler has become disillusioned with the VC, we don’t have anyone to badger Nintendo for equality anymore. Alright, Nintendo. Honestly, where is this? We have all the other Mario platformers, and even Yoshi’s Story. I think we’ve waited more than long enough for this one. We deserve Yoshi’s Island. Yeah, I totally saved the best for last. As much as I like any of the other games on this list, none of them could even hold a candle to the majesty Yoshi’s Island. It is platforming perfection, a mecca that may never be reached again. How Nintendo could have slapped Yoshi’s Story on the VC list without Yoshi’s Island to reinforce Yoshi’s reputation is a mystery that may never be solved. I honestly don’t think I should have to describe this game or why I love it. I mean, I don’t know why you would even be on this website if you’re the kind of person who would have skipped over this gem. Unless you’re my girlfriend, but that’s really the only acceptable case. 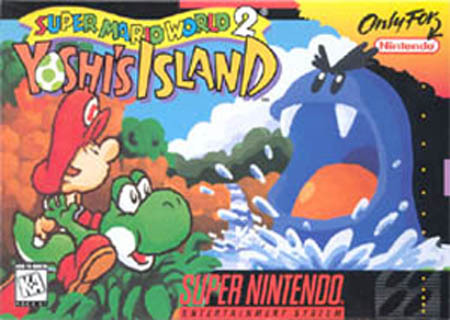 So really, if you haven’t experienced the wonder that is Yoshi’s Island, I highly recommend you stop reading this right now and go find yourself the ROM and an emulator. Or at the very least, the GBA port. Just play it. And that recommendation goes double if you’re my girlfriend, as there may be hope for you liking video games that don’t require plastic guitars after all if you try this out. So yes. That’s my list. It’s taken a lot of beer and Danish butter cookies to struggle through, but I’ve done it. Unlike last year, wherein I posted this in early November, I’m just making this one up on the second-to-last Monday of the year. Hence, this time we won’t think of these of games that I want to see before 2008 is up, but rather a list that I would like to see show up sometime in the year 2009. And don’t fret; unless some giant change in my life takes place that makes me unable to webmaster anymore, there will totally be a 2009 edition. It’s just too easy.